Aren’t baby shoes the cutest thing ever? Becoming a parent to a little one has its own perks. Once you become a parent, you often find yourself overwhelmed with buying clothes and shoes wear for your baby. 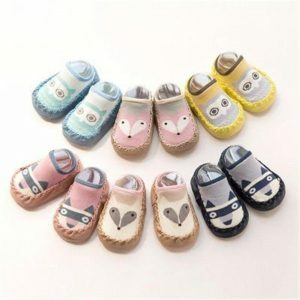 You may find yourself reaching out for various options on the market to find the best and softest shoes for your baby. You want to make sure that the shoes are the most comfortable for your baby’s tiny feet. 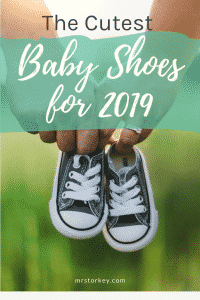 To help you on your search we have compiled a list of the cutest baby shoes 2019. Baby moccasins are a great way to start building a shoes collection for your baby. If you are looking for an adorable pair of shoes to pair up with your baby’s outfits then these type of baby shoes are the perfect choice. Baby moccasins are immensely comfortable, and they make an excellent treat to your baby’s tiny feet. The moccasin shoes for babies can be paired up with socks and then, your baby is good to go for the day. These type of adorable baby shoes make a perfect gift for first walkers. Your baby can wear it inside of a crib or walker. The use of super soft suede materials adds comfort to the shoes. Baby moccasins are easy to put on and off, which makes it a preferable choice for parents. Parents are always adamant on adding cute and adorable baby shoes to their little one’s collection. They make sure to add shoes in various sizes and colours to make sure that it complements the outfits of their baby. However, parents also want to make sure that the shoes are comfortable for their baby’s and it helps them to walk in a crib without any hassle. Baby slippers and sandals is an excellent way to expand your little one’s shoes collections. You can simply put on slippers or sandals to your baby feet, and it would allow him to walk around the crib or house without hurting its feet. It also helps him to develop and perfect his walk at a young age. Baby slippers come with an anti-slip bottom, which keeps your baby from slipping on slippery surfaces. It also helps him to stabilize its walk, if your baby is recently learning how to walk on its own. Baby sandals make excellent must-have for babies, and it complements their outfit when visiting a beach or a mall. Baby and toddler sneakers definitely make the cutest and durable addition to your baby’s shoe wardrobe. It is no wonder that when a child starts walking—it will soon find itself running on the grounds. Wearing toddler sneakers helps to run better on grounds, and it also adds stability to a child’s little feet. If you are dressing up your baby casually then, pairing it up with toddlers would add an adorable and stylish factor to your baby’s dressing. It helps to run and chase on the grounds easily. Toddler sneakers are made using reliable materials, which allow the kids to walk and run firmly on the grounds. Should You Invest on The Graco Pack ‘N Play Playard?